GB-8092. 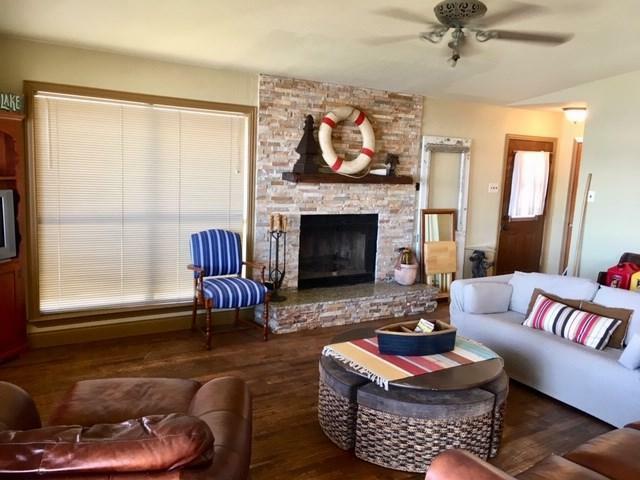 ALL THAT YOU NEED IN A WEEKEND LAKE ESCAPE IS RIGHT HERE! THIS 2-2 HAS SPACIOUS DESIGN, LARGE OPEN LIVING/KITCHEN & SLEEPS 7 BEFORE ANYONE IS ON A SOFA! YOU WILL LOVE THE HANDSCRAPED HARDWOOD FLOORING, EXOTIC GRANITE IN KITCHEN & BOTH BATHS & BEAUTIFUL UPDATES! 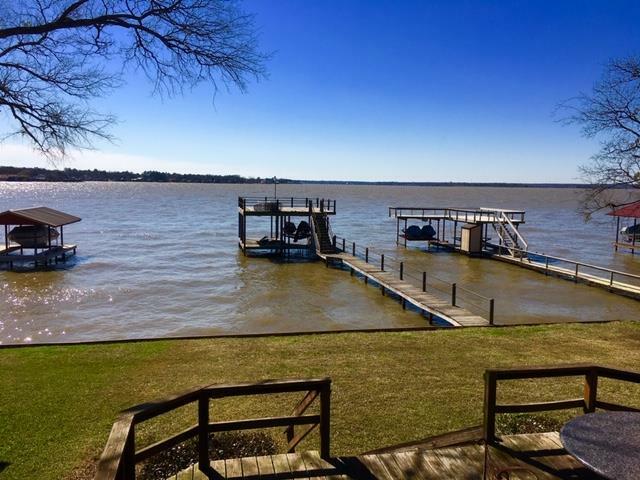 BOATHOUSE HAS 2 LIFTS & PARTY DECK WITH 8' PLUS DEPTH PER OWNER AT FULL POOL! HOME IS AVAILABLE FULLY FURNISHED VIA SEP NEGOTIATION. SHINGLES ON ROOF REPLACED 2/2019. SEAWALL APPROX 5 YEARS OLD. 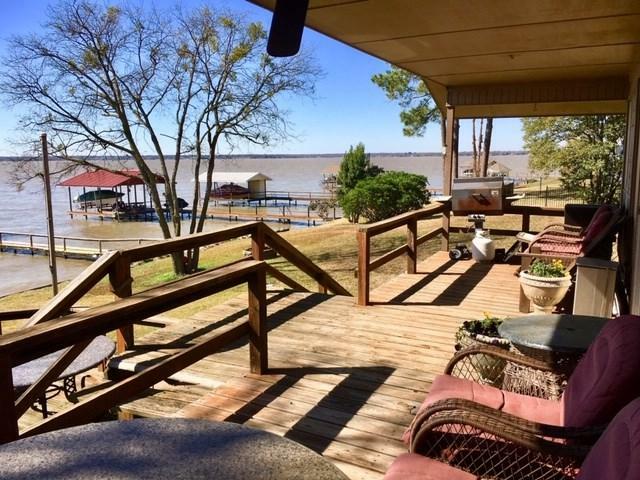 YOU WILL LOVE THE LOCATION ON WIDE OPEN WATER. 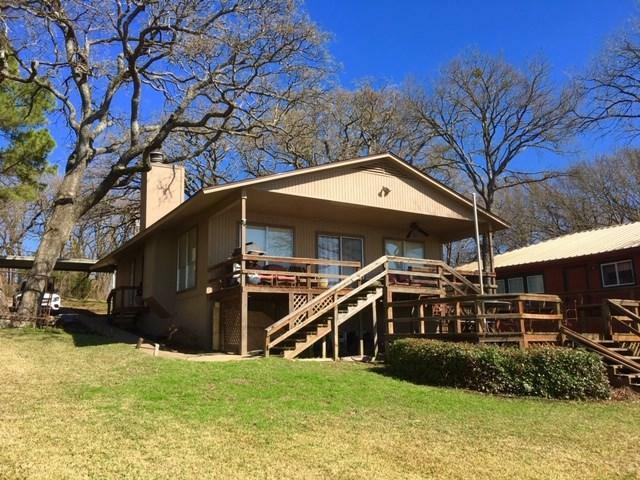 Listing provided courtesy of Tammy Hosch of Mcatee Realty,Gun Barrel City.